In hindsight, that name theory was never going to be right. After last week's shock announcement that Kylie Jenner wasn't just very much pregnant, she had actually birthed a real human child, the world went wild speculating on what the baby's name was going to be. We know now that Kylie's daughter is called Stormi Webster, but until that record-breaking announcement came, the most convincing theory was that the new baby was going to be called something butterfly-related. Eagle-eyed fans spotted all sorts of butterfly references in the 11-minute long announcement video, and it all seemed very plausible. Except, the theory was actually pretty flawed. Because Kylie Jenner hates butterflies, it turns out. And fans who watched Life of Kylie might remember the episode that proves it. 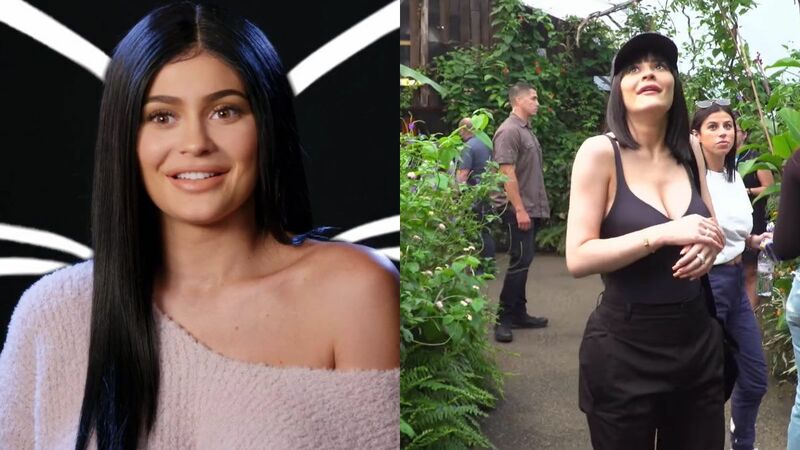 When Kylie, Victoria, and Jordyn took a trip to the London Zoo, they stopped off for a visit at the butterfly exhibit. But it quickly became clear that Kylie was scared shitless of butterflies. "It's kind of ironic because I'm terrified... terrified of butterflies," she told the camera later. "This is how I think of them: cut the wings off and if you just look at their bodies, it's not that pretty." Yeah, so that Butterfly/Mariposa name theory wasn't quite as on the mark as we first thought. But we've got Stormi instead, and that's pretty damn cute.